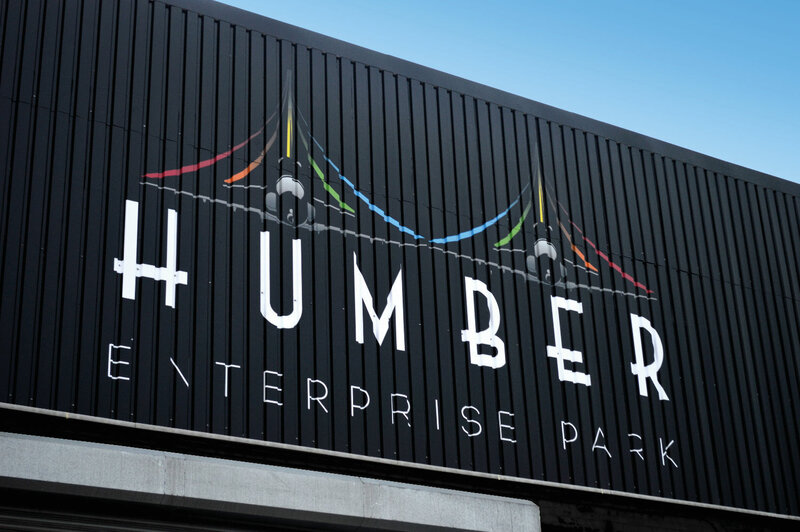 Humber Enterprise Park offer high quality, modern commercial space in the heart of East Riding. 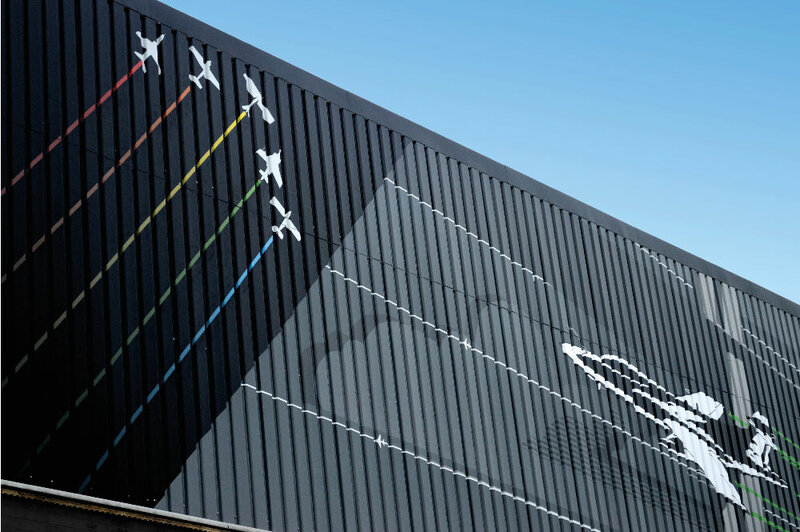 As part of their new brand roll out, 4d creations produced and installed a large number of exterior graphics to the corrugated facade of one of their buildings on the site in Hull in collaboration with So Vibrant. 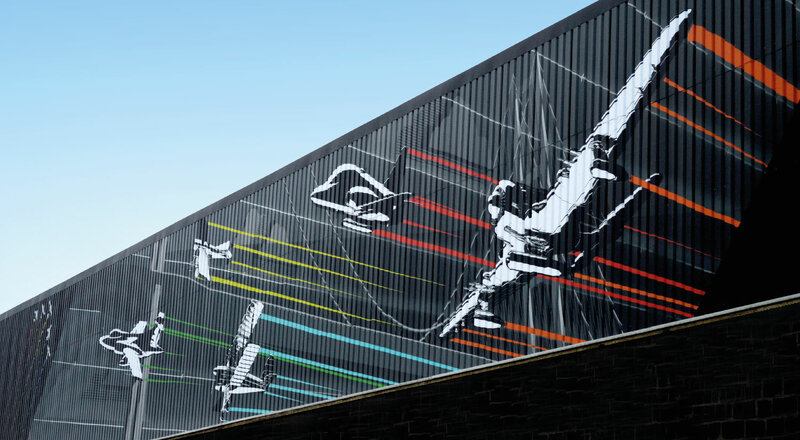 The award winning graphics totalled a full width of 93 meters with a height of 5 meters. 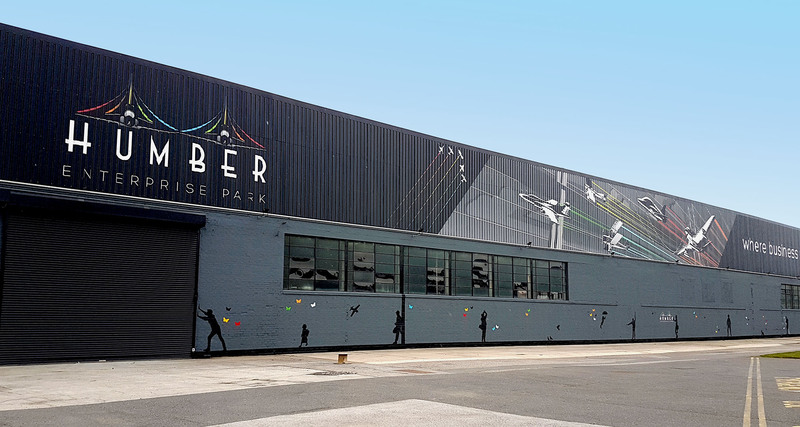 Printed in high resolution on a specialist exterior wrapping film, the team spent 1.5 weeks wrapping the building by hand after a number of test installs to ensure the positioning of each piece worked successfully. 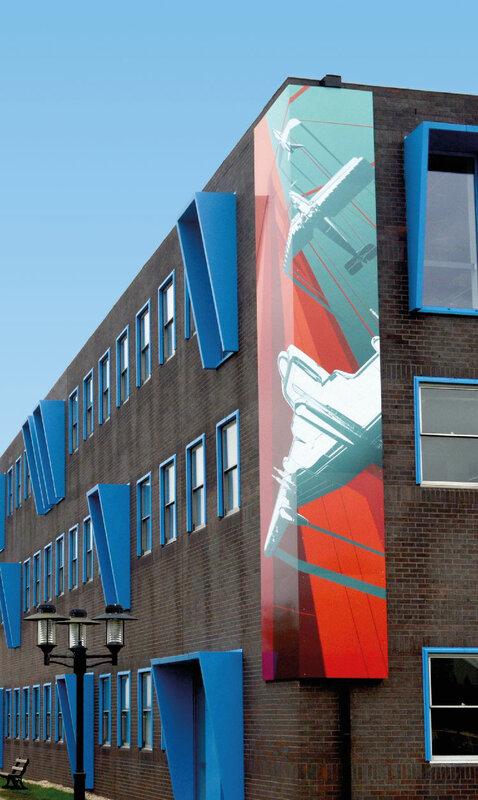 Together with the B-Shed wrap, we produced and installed 9m high box section signage to the corner of the Bluebird building.